What is the difference between protection and freedom? Welcome to the twentieth day of the Dream Well advent calender! Today I am writing about quite a specific symbol, that of a bird in a cage. This symbol contains two other symbols, the bird and cage itself, but the two combine to create a meaning all of its own. Birds, with their ability to fly, are often symbols of freedom. They are also releated to inspiration and creativity, as being at one with the element of air. When caged then, the obvious symbol of a bird in a dream is that of losing freedom. But cages are often more complex than that. We can have ambiguous relationships with our cages. As much as they restrain us and hold us back, cages can also protect us and shield us from danger. If we dream of a bird in a cage, it is an opportunity to explore this ambiguity. To be caged may not always be a bad a thing, as long as the trade off is worth it. We may feel caged at home after having a new baby, but this is also a time when we are vulnerable, and so is our child, so protection is certainly a worthwhile thing. Other situations that may be positive reflections of being caged could be the early stages of a new love relationship, when we need to reconcile commitment with the loss of freedom of “playing the field”, when committing to a new job or creative endeavour, at the expense of free time and so on. But any such trade off is by nature a temporary thing. While some changes in life may be permanent, to cage a sense of our freedom, creativity and wild natures inevitably is bound to create problems in the longer term. This is not to say we should give up on our commitments, but rather, that we need to explore new ways of being that enable us to live in our most authentic natures. At the heart of the matter, this is what dreams of caged birds mean. They remind us to consider our compromise, and urge us to promise never to give up on that which makes our souls soar. 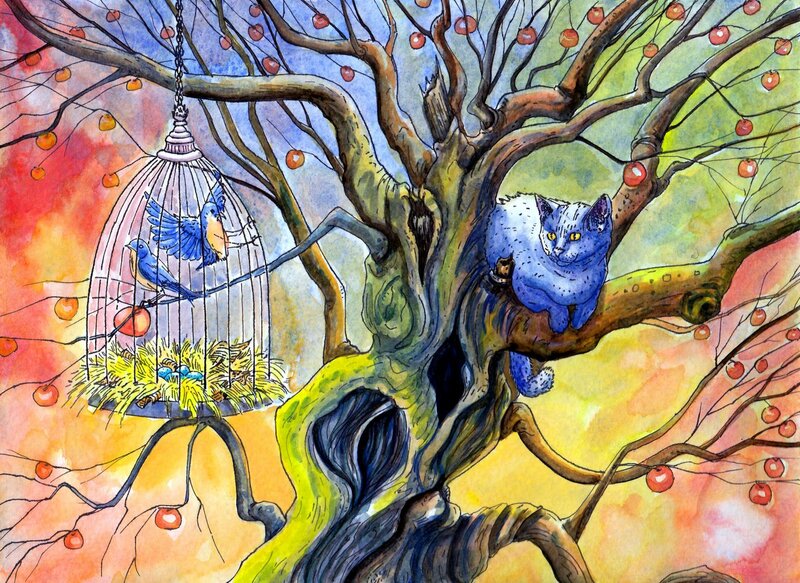 Dreaming of birds and cages can be a great exercise to remember that within a dream, we can play many roles. The dream may seem to be of us holding a cage, or in the dream we may see things from the perspective of the bird. But a Gestalt approach to understanding dreams would urge us to consider all perspectives. We are both the captured bird and its gaoler. We are living a restricted existence at the same time as we hold the key to release ourselves. Depending on what is occurring in the dream, we can learn much about our current situation. Are we a bird, staying in the cage, afraid to fly? This may be a sign of fear to express ourselves, to grow up and take on adult responsibilities, or of taking a risk. Are we trying to get out of the cage? This may symbolise a need to escape a certain situation, of being restricted by the beliefs and behaviours of ourselves or others. Are we in fact holding the cage, and maybe admiring the bird inside? This could mean a need to protect something we feel is so very precious, but incapable of living without our protection. This is another type of fear dream, as birds are by their nature intended to fly, and ultimately they should be released from their cage. Caging a bird in a dream may be a sign that we wish for a time to really experience the beauty of something we know is fleeting and transient. The difficult life lesson is that a thing’s true beauty can only ever be really appreciated in its natural state. So though we may admire the pretty feathers and the gorgeous song of a caged bird in a dream, we will never really know the true nature, and the deeper the beauty of the bird until we allow it to be free. A dream of caging a bird in this way may symbolise we are trying to grasp the ungraspable, and perhaps it is time to stop trying to control in order to appreciate the real beauty that lies beneath the surface, however brief that special moment may be. Are we opening the door of the cage? This can be a wonderful sign that we trust a beautiful and vulnerable part of ourselves to exist in the outside world, without needing our benevolant protection. A bird in a cage in our dreams may be a symbols of our creative spirit, of that which longs to soar and be free of expectations of society, family or jobs. The bird may symbolise our authentic voice, our vision or our passion. Dreams of birds in cages ask us to consider questions of beauty and truth, of freedom and risk, of restriction and protection, or control and release. While we choose the cage for a while as long at it suits us, eventually we must remember that birds are meant to fly and sing freely. 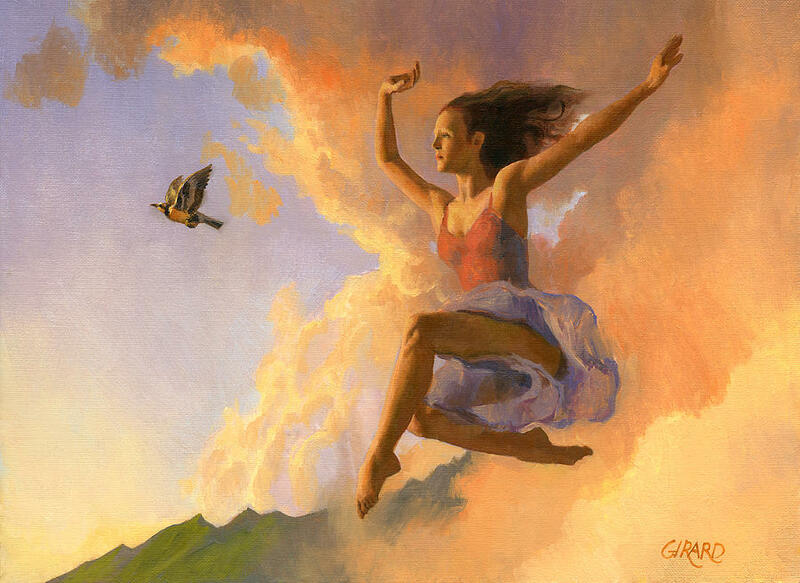 Perhaps, after dreams of caged birds, will come dreams of flying…. What is holding you back from being free? Thank you. I had a dream I saved a bird in a cage from being drowned when the tide of the sea came in. When I opened the door the little bird was hesitant to leave though had I not come along it would’ve died. It needed some coaxing but it left. Now I know what’s wrong and what I must do. Thank you. I recently had a dream of three parakeets. Each had its own cage. They were connected together in a vertical position, which consisted of the larger cage being first and then the two smaller cages below it. In my dream I left the room briefly and when I returned the birds were in one cage, sitting side-by-side with a rope tied around their neck. They had been strangled together. In my dream…. nightmare really…. all I remember is seeing a dead parakeet (tail up) dead in a cage. What can this mean???? ?